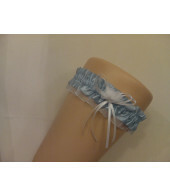 This beautiful Blue & White Garter is made for blue satin with chiffon design detail to the edge, a big bow and chiffon embellishment details to the side. 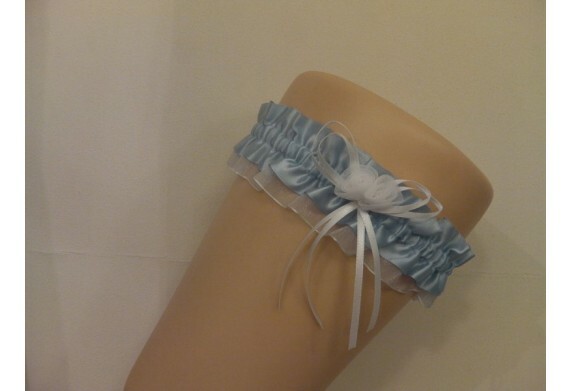 This beautiful Blue & White Garter is made from blue satin with chiffon design detail to the edge, a big bow and chiffon embellishment details to the side. 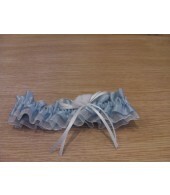 As the old wives'tales goes, 'Something old, something new, something borrowed, something blue'. 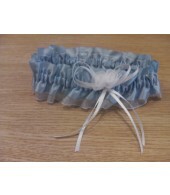 This stylish garter would be 'something blue'. A great gift for a bride-to-be. Material content: 100% Polyester. Hand wash only.